Many Melissa and Doug Toys are 50% Off for TODAY ONLY! Today only, you can get 50% Off Melissa and Doug Toys!! on Amazon.com! 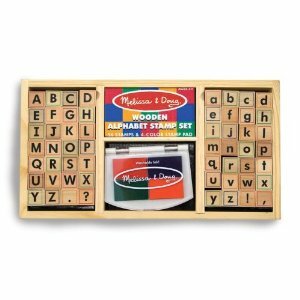 Melissa & Doug Pattern Blocks and Boards $10! Melissa & Doug Ice Cream Scoop Set $15! Melissa & Doug Fishing And Bug Catching Magnetic Game $10! Click here to see all of the great 50% off Melissa and Doug toys! Click here for more featured coupons and deals!